Just popping by to say I have a couple of new patterns out with Harrisville Designs, as part of their Foliage Collection! 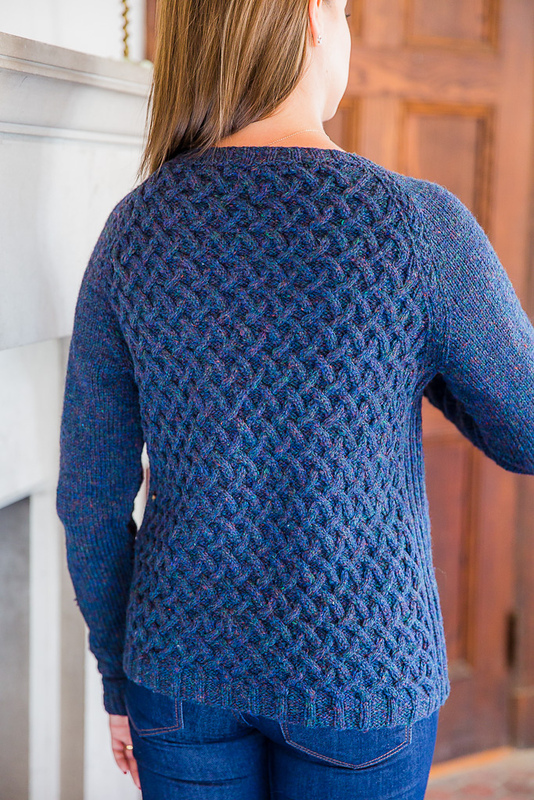 Bowline is a bottom-up seamless raglan with an interesting, slightly different cabled lattice pattern and braids along the raglan decrease lines. flyWHEEL is such a nice airy wool and I love the colour so much! 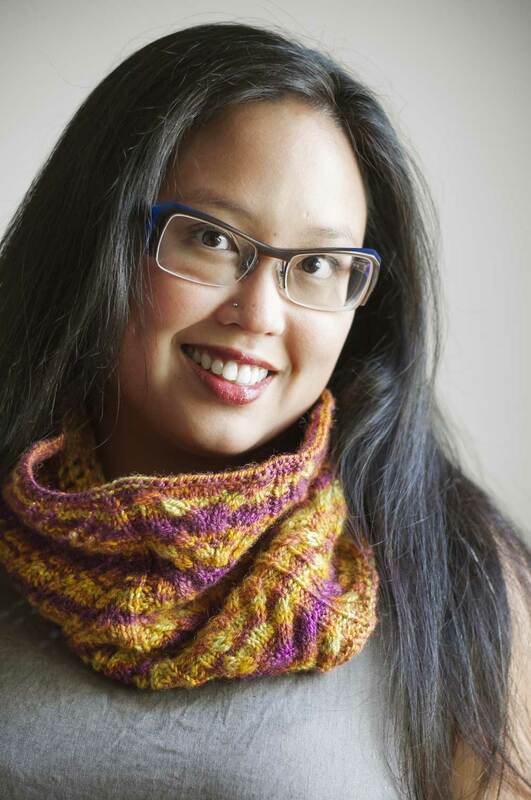 Queue, Fave and Buy Bowline on Ravelry! 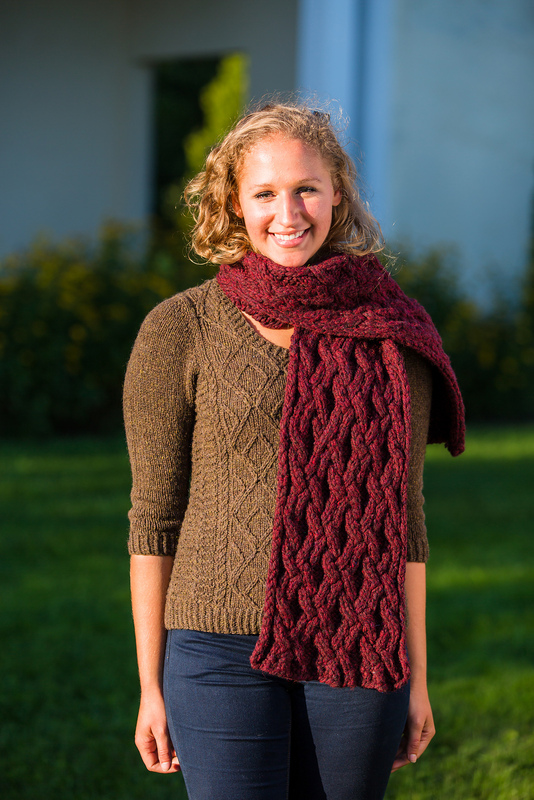 Bale Sling is a super quick bulky scarf worked in TURBINE, with interlocking cables for loads of texture. Queue, Fave and Buy Bale Sling on Ravelry!